I work on a golf course in the middle of a city, (Newark, NJ). 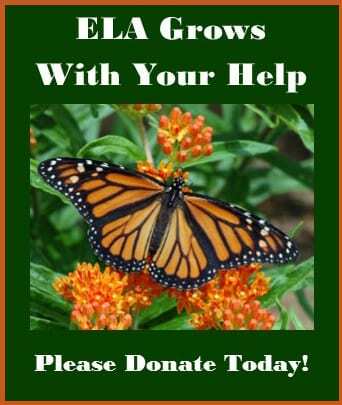 I am always looking to put in natural areas and promote pollinator plants. My question is more with regard to bees. Does it make sense to have an all-out pollinator area in the middle of the city where there are no nearby farms/nurseries for the bees to go to? 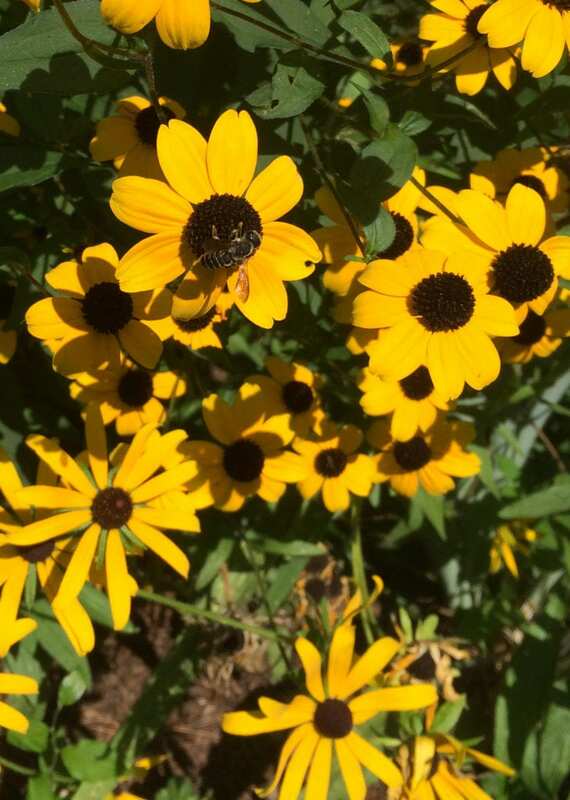 Pollinator gardens, or all flowers for that matter, are essential to support bees and other pollinators not only for the purposes of growing crops, but also for sustaining plants in parks and gardens and in naturalized areas, such as along rivers, forest edges or roadways. Many plants depend on pollinators to reproduce and spread. Pollinators and other insects are also an important source of food (protein) for birds, frogs, snakes, and small animals that live in these areas. Due to pesticides, agricultural practices, and urbanization, pollinator populations are in serious decline. If we are going to try to maintain populations, we need to protect existing habitat and create new habitat, even in urban areas. 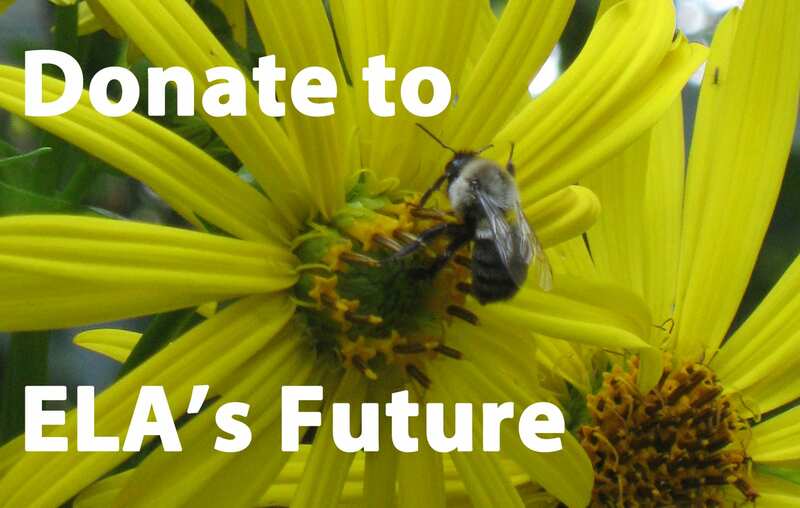 Whether or not your garden will benefit local farms and nurseries, it will benefit pollinators and other insects and all the local plants and birds that depend on them. Even though your golf course is in the middle of a city and it may seem like habitat is not important, the golf course is likely one piece of a larger fragmented green space, or perhaps a link in a continuous corridor of green spaces made up of parks, cemeteries, and residential gardens. Planting flowers and other plants will help sustain all the species that live in this larger vegetated area. You don’t necessarily need to go “all-out” to create pollinator habitat. Sometimes, simply reducing mowing and letting areas naturalize allows existing flowering plants, such as goldenrod, asters or milkweed (plants we often think of as weeds), to bloom, providing beauty and habitat at no cost. Most pollinator plants thrive in poor, dry soils so you don’t need to fertilizer or amend your soil. Once plants are established and fill in, you don’t need mulch and the need for irrigation is minimal, if at all. Keep in mind, that if pesticides are used on the golf course, you want to be careful about how they are used and avoid using them near your flowering plants. Along with the benefits of creating habitat for many different species, a flower garden brings beauty and interest to the landscape all year long, creates a sense of place, and engages all those who pass by or step into that space. I can’t think of any way in which a garden would not be of benefit! So, I would say, yes, absolutely, a pollinator garden in the city makes sense. This is a great question. Good on you for trying to do promote pollinators and reaching out to find out how to do it the right way. I would say that if you live in an urban area, that’s even more of a reason to create pollinator habitat. If you provide the habitat for them they will come. So yes, it is certainly beneficial and important as areas that provide productive habitat have declined significantly. If you create these natural areas they can support other beneficial insects as well, which is another positive reason. To support bees, you want to make sure that you include plants that provide both nectar and pollen sources. For beneficial insects and other pollinators, you want to use plants that will provide habitat to live in, water, and food sources for the larval through adult life stages. I’m assuming, since you are on a golf course, that there is a water source nearby. I would also suggest creating a diverse planting with more than just a lot of a couple of species making up the planting, using both flowering plants and native grasses. One thing that I would be especially concerned about is the use of pesticides. One of the biggest threats to bees, as well as to other pollinators and beneficial insects, is pesticide use. I would certainly suggest refraining from using any pesticides in these natural areas and being cognizant of anything that is used around it. There are many great resources online. I particularly recommend the Xerces Society. 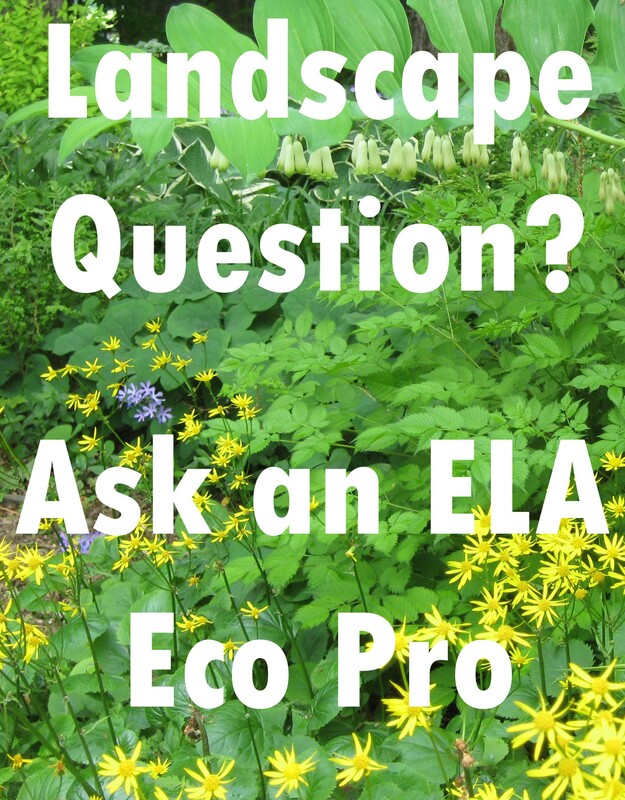 ELA members have spent hundreds of hours learning the best ecological solutions to problems in the landscape. You can benefit from all that accumulated knowledge by posing a question to our experts. If you are stumped by a problem in your landscape or are looking for a second opinion on a potential solution, ask ELA’s Eco-Pros. Send your question to ela_new@verizon.net. 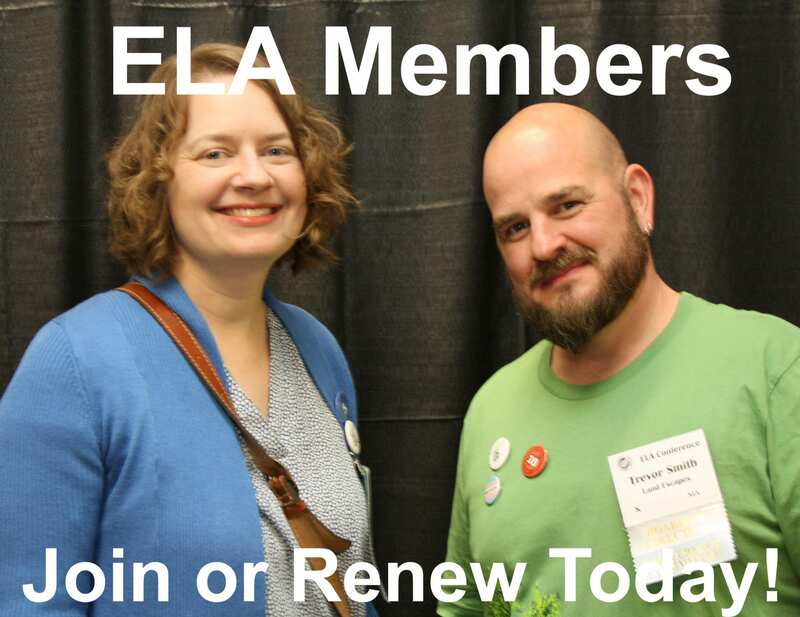 And if you need additional help, refer to the listing of ELA Professionals.